Before we got down to the photo part of the session we met and chatted over a drink at Tipsy Cow! Here is where we laughed, got to know each other and they instantly relaxed! 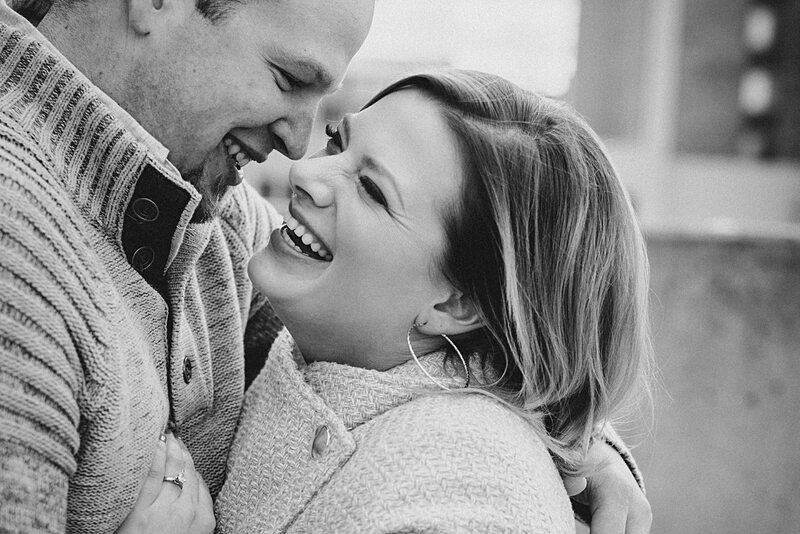 I get it, its nerve racking to get your photos taken! So if we haven’t met a couple in person we like to meet them for drinks beforehand if possible. This allows them to forget they hired us for photos, and we are more like friends with a fancy camera! I know Amanda was nervous about what she was going to wear, but I think she totally killed it with what she choose! 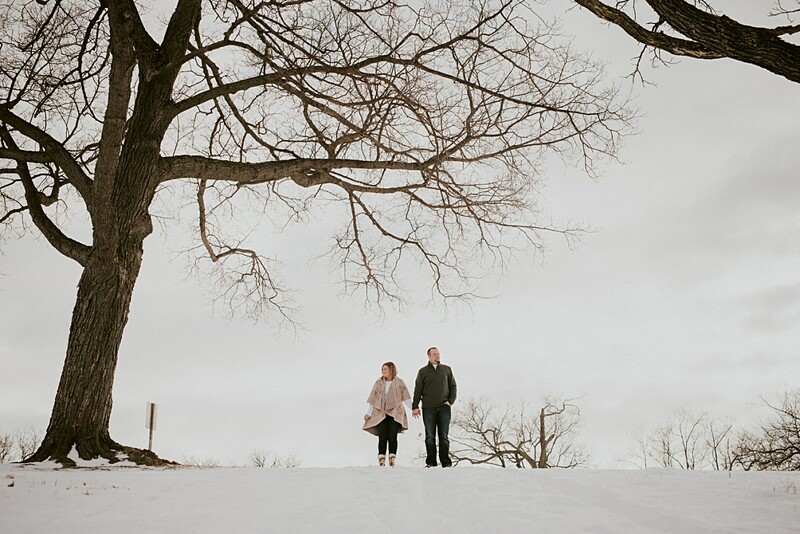 A blush pink coat and her grey sued booties were simply perfect! Perfect compliment to Jake Grey sweater and blue jeans! 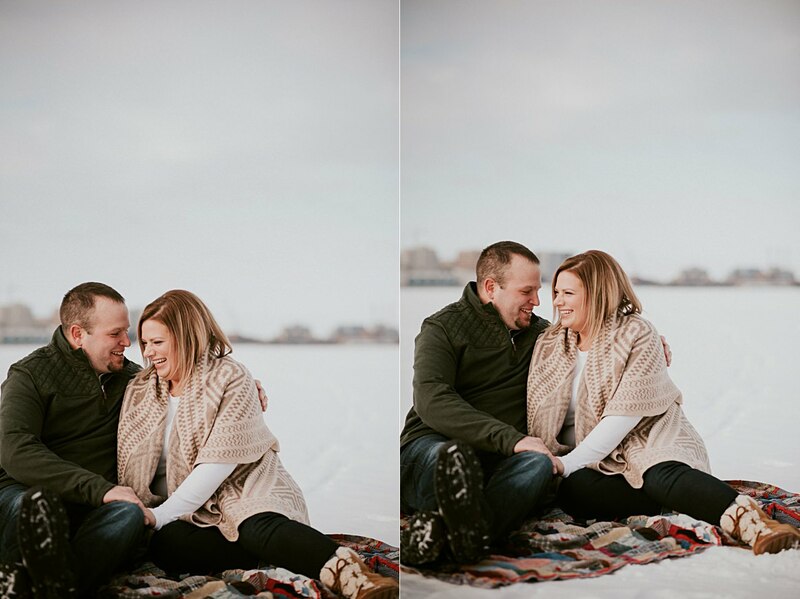 They were both complimented with the background! 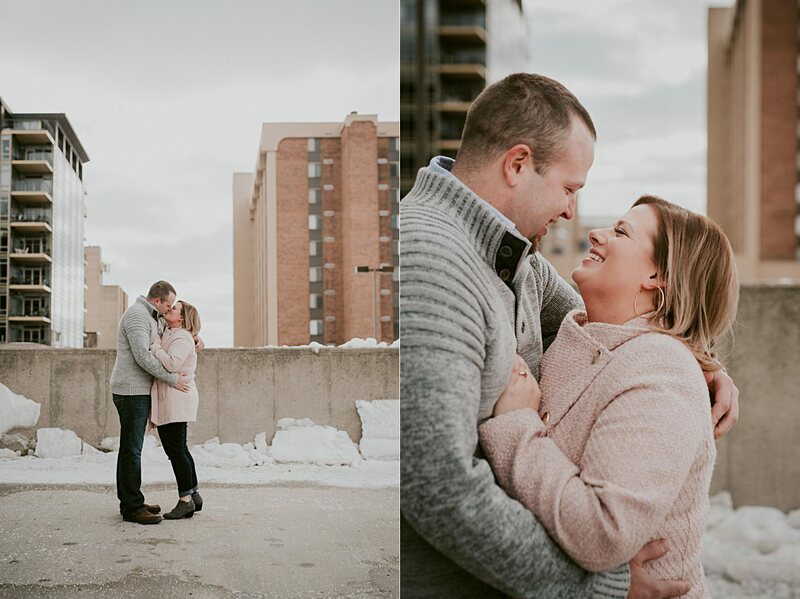 We were so thankful it warmed up for their session AND that we had some beautiful snow! Was it warmer or was it just the cocktails?? 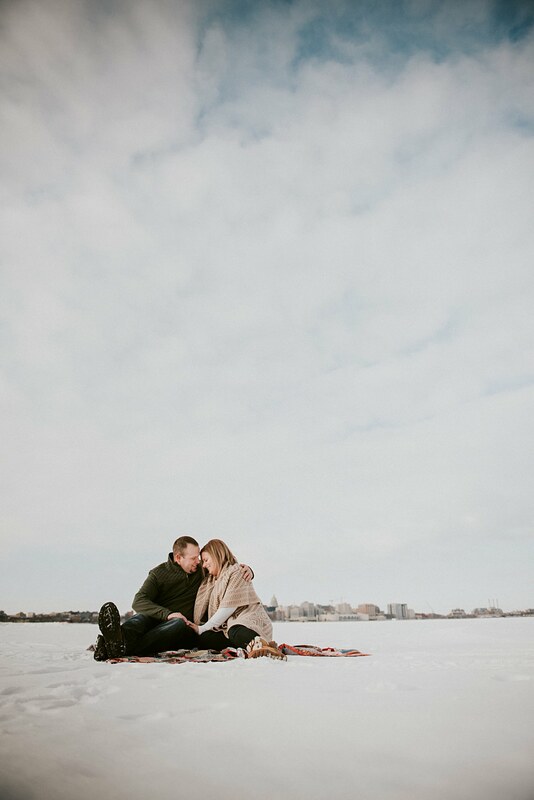 After the rooftop, we drove to Olin Park where we danced in the snow then walked on frozen Lake Monona! 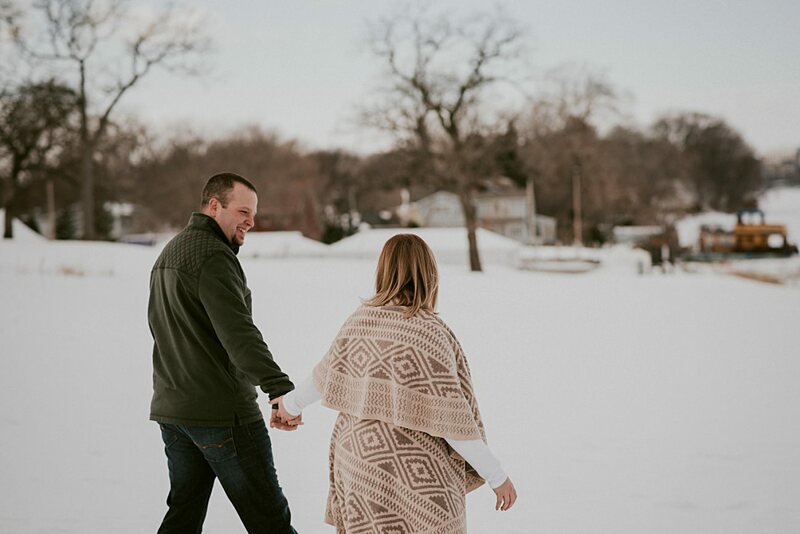 Jake was the most excited about the lake portion of the session because he was a lover of ice fishing! 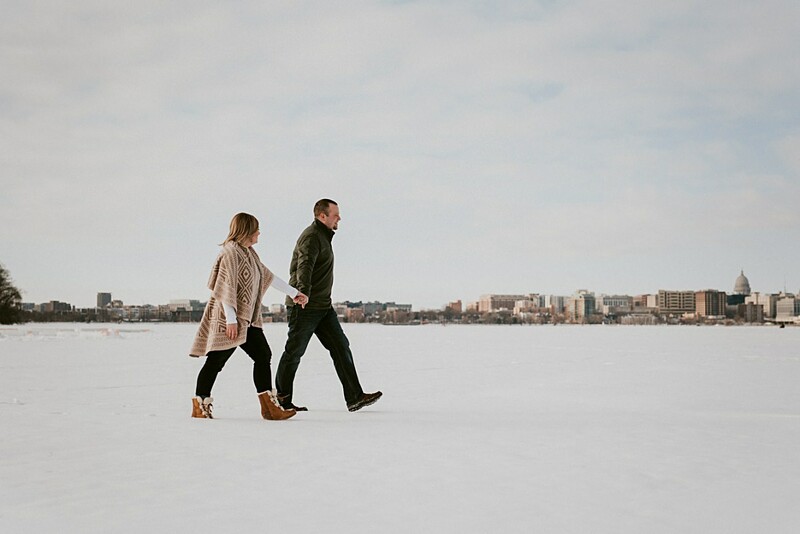 I love the lake portion because it’s so awesome to photograph a rad couple in front of downtown Madison! The sun even peeked out for the end of the session! 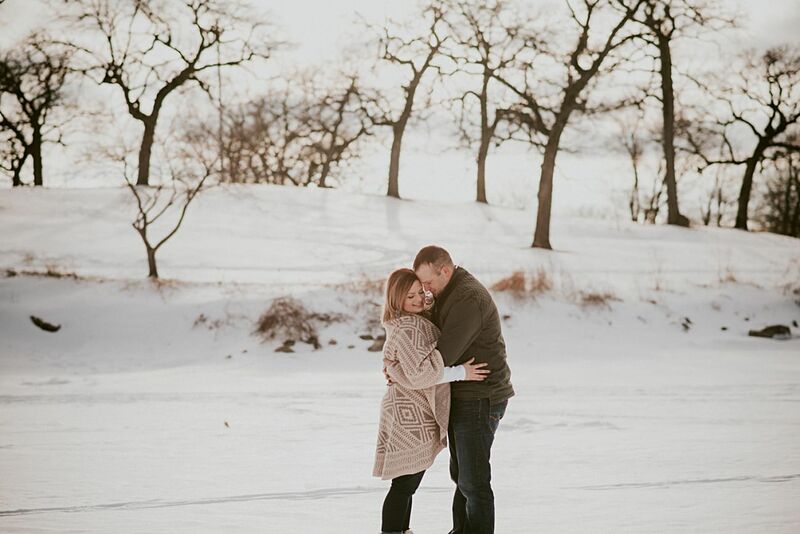 Amazing photos and beautiful couple!!! 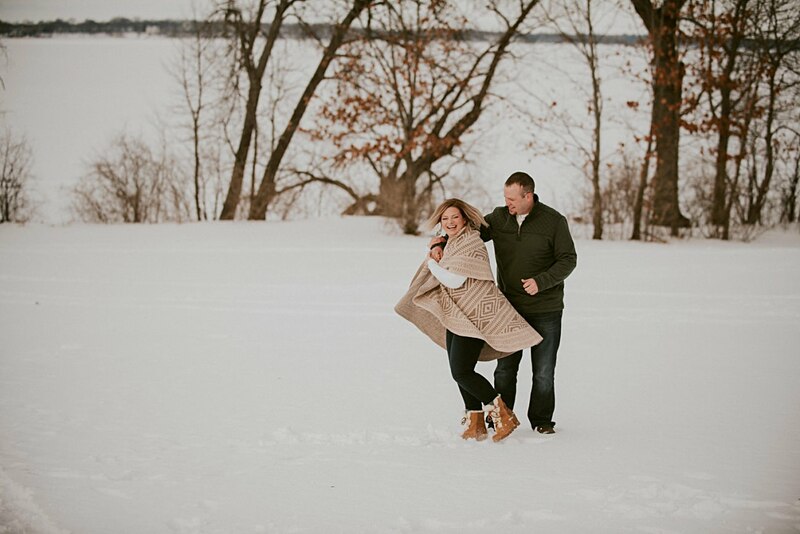 Love the pictures on the lake!! 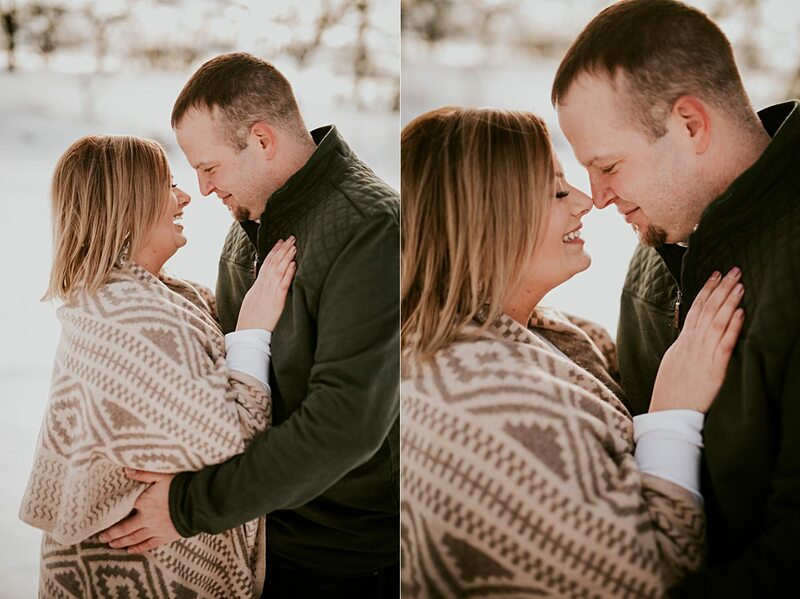 I love you both and these turned out perfect! 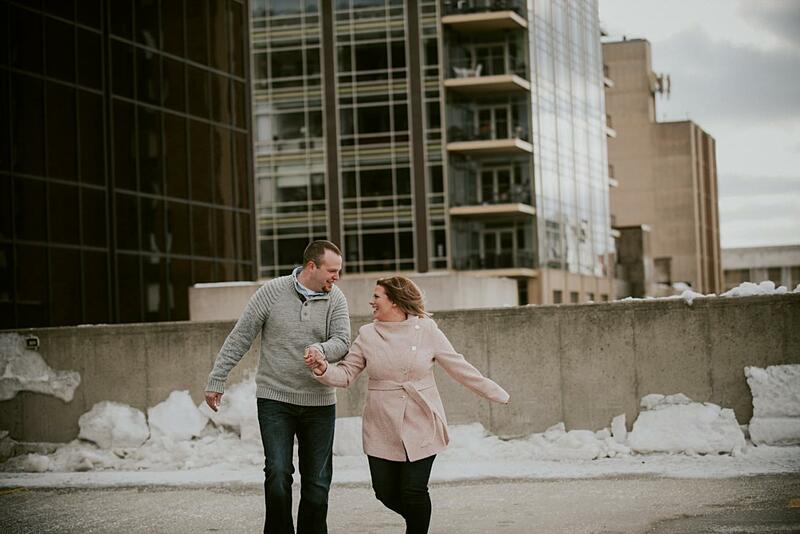 LOVE THE PICTURES MANDY AND JAKE! 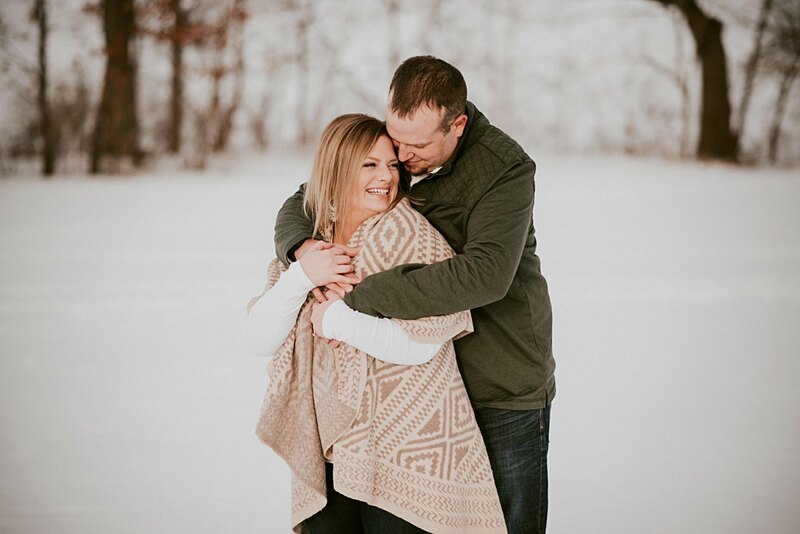 Beautiful pictures Mandy and Jake!!! I love them all. Natural Intuition you are the best!!! 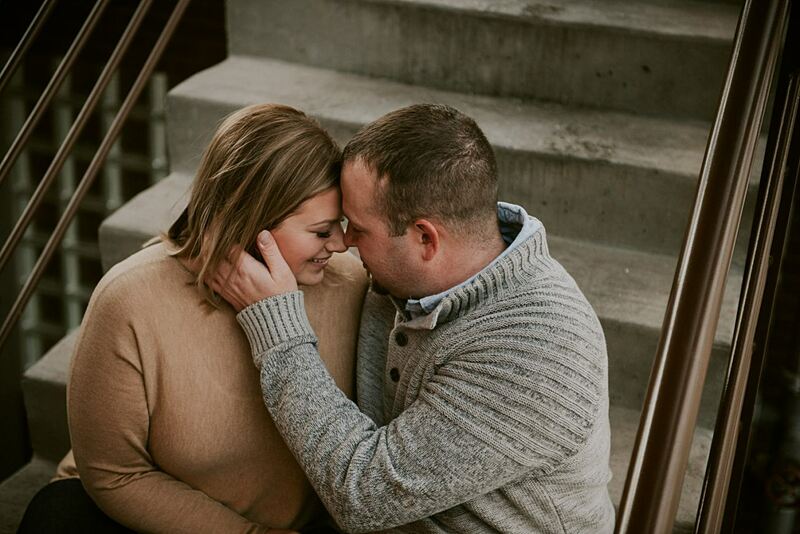 Amanda and Jake, these are all so beautiful!